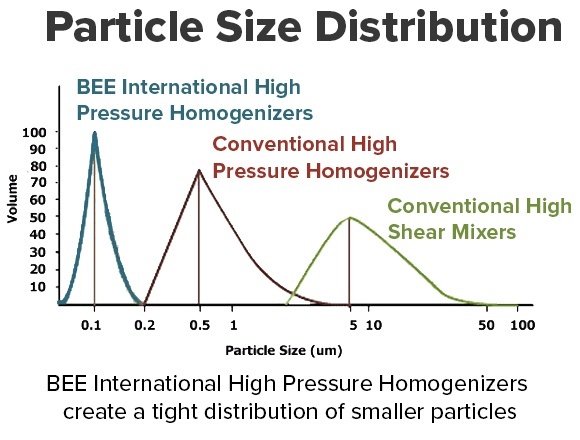 BEE International manufactures high pressure homogenizers to expand mixing/blending/grinding process capabilities for particle size reduction and cell rupture applications. We serve pharmaceutical, biotech, cannabis, chemical, food and beverage industries worldwide. In the laboratory, our systems process fluids producing uniform particle size reduction to nanoparticles, and high yield cell disruption. You can customize the forces in our homogenizers to suit your application for the best possible results. All our systems produce the same results. Scaling up to pilot and clinical trial settings, our high pressure homogenizers consistently produce the same results and have a reputation for reliability. These qualities continue into manufacturing, where the in-line process reduces costs by achieving better results in less time. Ready to Learn More? Download our FREE eBooks! 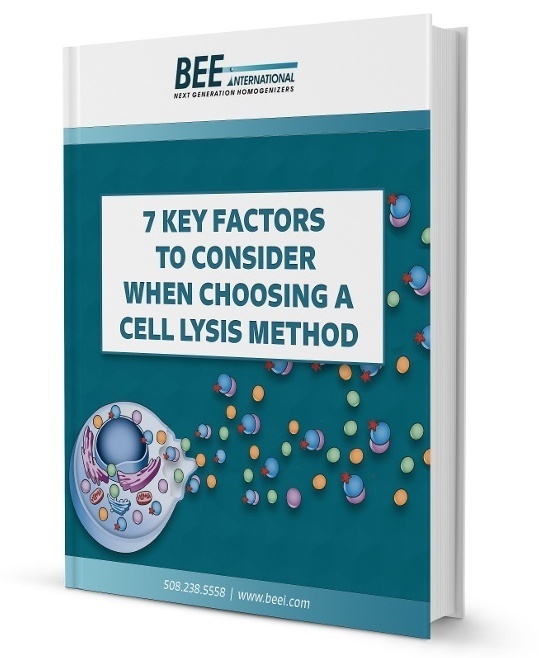 "As a formulator and processing professional, your homogenizers/emulsifiers have found their way into a broad host of applications for a variety of materials. 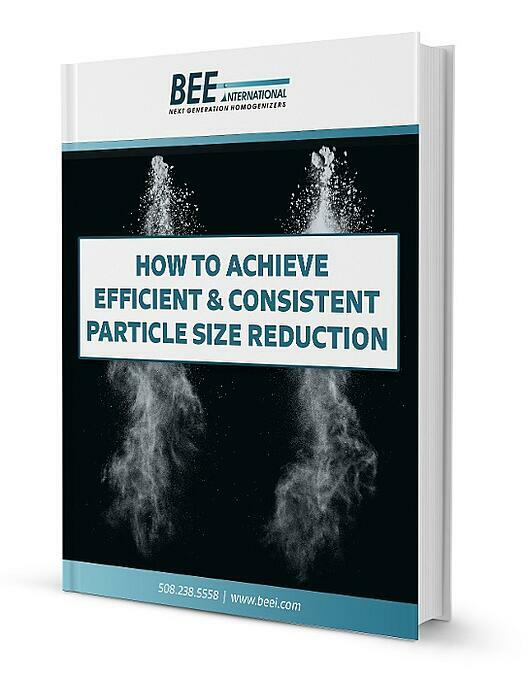 With the proper configurations and process parameters dialed in for each material, one can achieve exceptional dispersions, particle size reductions, stable rheological systems and reproducible results each time independent of scale." 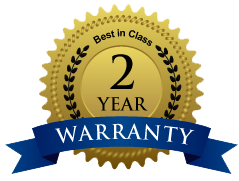 "I must say that you are by far the best equipment suppliers we have worked with. You were most helpful as we worked to confirm and resolve important details which helped us avoid delays." 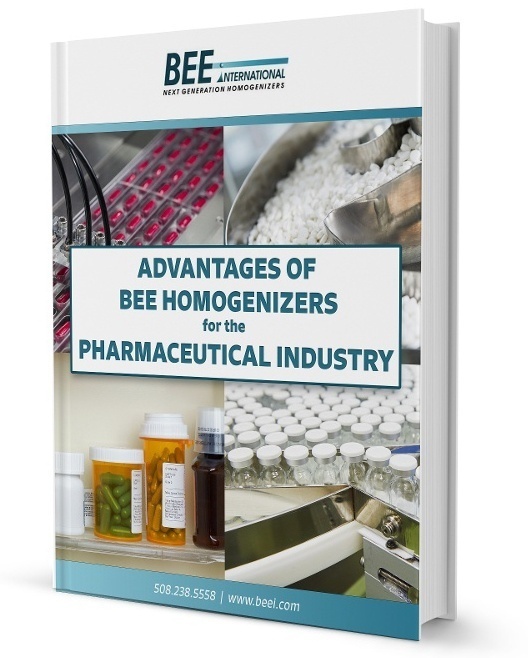 "Since day one BEE has been there to provide prompt support and help find solutions to propel our company to an elite level of innovation; enabling us to explore the world of High Pressure Homogenization and its exciting role in Food manufacturing. We hope to lead the path in new and creative products in the market with a great partner such as BEE right behind us." 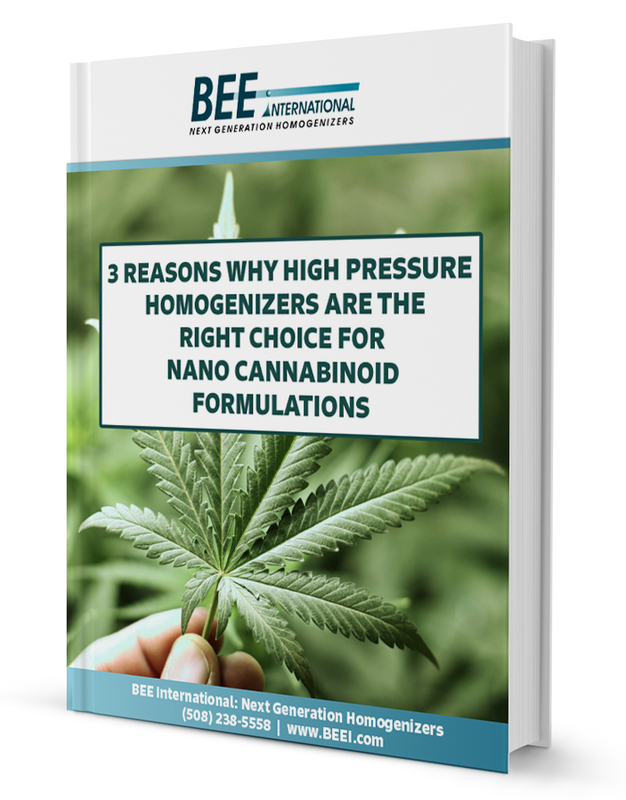 to learn more about our high pressure homogenization products and technology.